A $30 billion pipeline would be built from the Altai Region through northwest China into northern India. 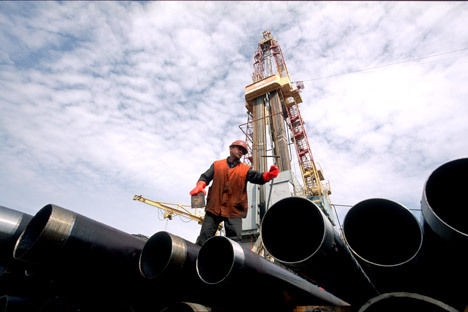 Talks on the construction of the Russia to India oil pipeline project should conclude by mid-2014, officials from ONGC said. Thus, Russia is changing its energy export policy vector as strong demand for hydrocarbons, both in China and in India, one of the largest economies in the world, continues to grow. The benefits are obvious, including those in connection with India's plans to become a member of the Shanghai Cooperation Organization (SCO). China supports the pipeline oil supplies to India, which is not surprising. One of the project’s options is the construction of a pipeline from the Altai region through the north-west of China to the north of India. Director of the Center for Strategic Studies in Energy of the People’s Republic of China, Xia Yishan says, “The project is beneficial for both India and China, as it would allow China to become an oil transit in addition to its ‘status’ of recipient of the Russian oil.” For Russia, the project’s additional benefit is providing oil to the SCO market. According to the director of the Gas business agency Michael Yermolovich, the project may be associated with the creation of a Russian-Indian petrochemical joint venture in Gujarat. Investment in this venture is estimated at $450 million, its capacity is estimated at 100,000 tonnes of finished products per year. In general, India is planning to significantly increase its reserves of the black gold, due to an increase in domestic demand. Secretary of the Indian Ministry of Foreign Affairs Ajay Bisaria said that “in 2013, the oil purchases in Russia amounted to $176 million, but India intends to buy more. This requires an overland route.” Up to 35 percent of the pipeline falls in mountainous terrain. The project’s preliminary cost would be $30 billion and the completion of construction is planned for 2020-2022. As for the Western market, due to the crisis in the Eurocurrency zone, the demand for oil there is very volatile. In addition, if they want to “put pressure” on Moscow, the EU can increases its import of crude from Norway, North Africa, the Gulf and even Trinidad, but this is the EU’s problem. In short, there is a need for new markets, especially those where integration processes with Russia’s participation are developed. This is primarily the SCO. “The growth of mutual investments by Russia and China is accompanied by greater activity of the Russian and Chinese business in other SCO countries, - said the president of the International Organization of Creditors Robert Abdullin. “Economic growth in these countries is more favourable than it is in the industrialized countries.” Countries like India, Pakistan, Mongolia, Vietnam and their neighbours would naturally be attracted to working in close partnership with the SCO, including a partnership in the energy sector.